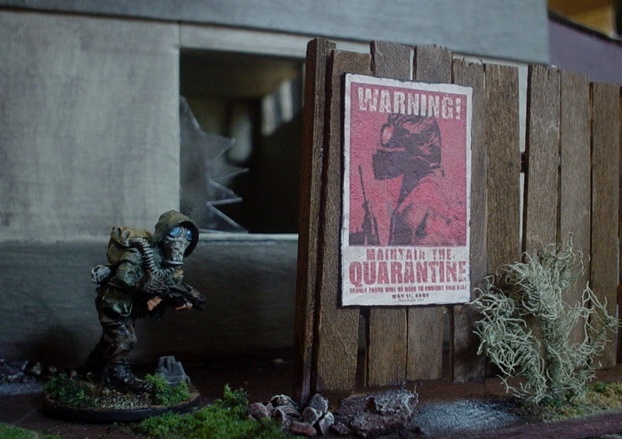 For those that aren’t familiar with the hobby, I’m posting some shots of figures and terrain. 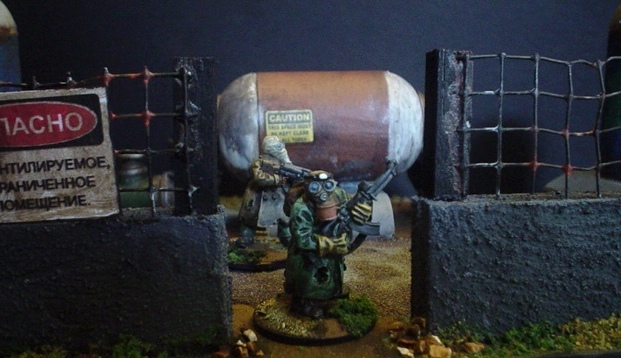 These are exclusively 28mm, post-apocalyptic genre, but figs, rules, and terrain are available for nearly every conceivable historical period, theater, or imaginary setting possible. 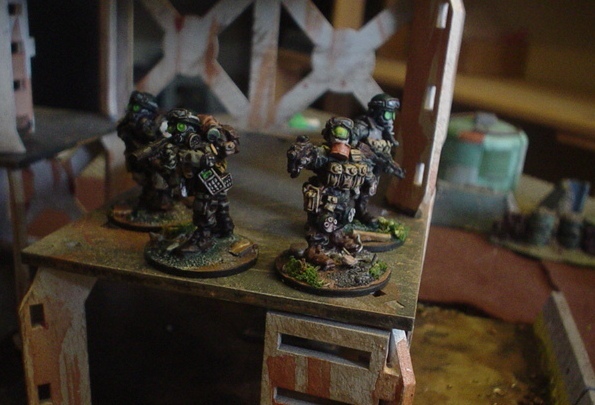 Rules simulate combat and interaction in the battlefield at varying levels of detail. 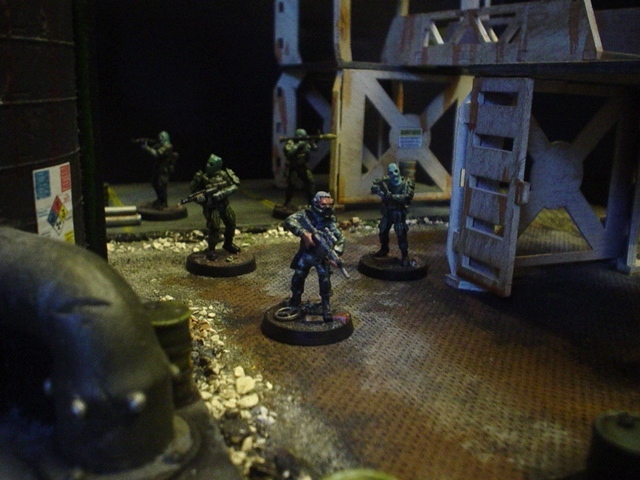 The figs are hand-painted (by me) and much of the terrain scratch-built.